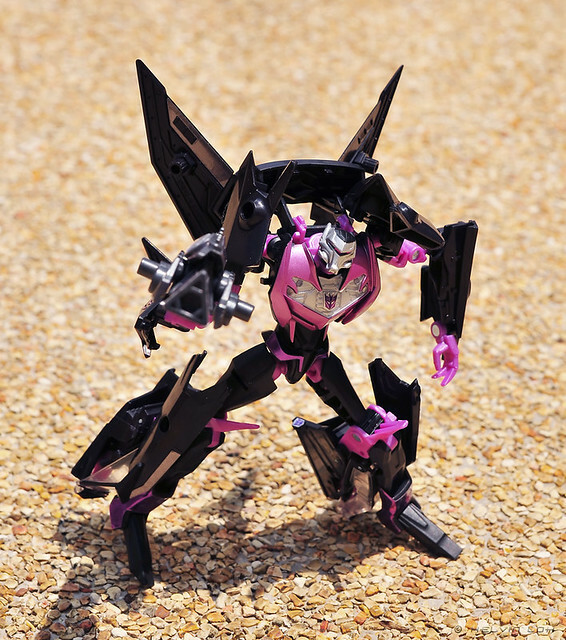 Readers might remember I got my shipment of Takara Vehicons from RK beginning of this month. Well, due to lots of distractions (ie. work) I haven't opened them... until now. 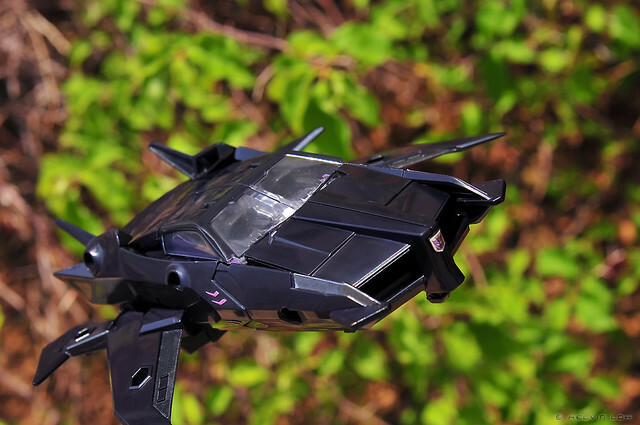 We finally have some national holidays and I managed to take some photos of AM-16 Jet Vehicon during the break. 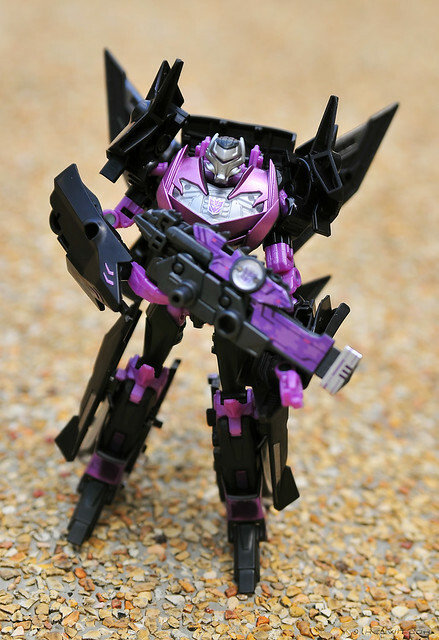 Jet Vehicon has the same core mold and transformation as RID Vehicon. Obvious difference are the additional wings, and no wheels. 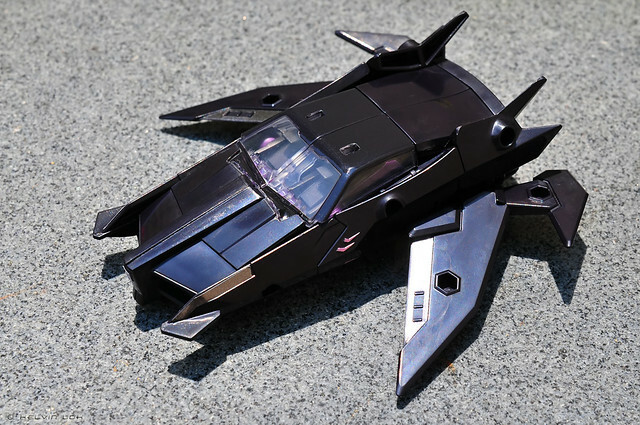 Jet Vehicon alt mode. It's not so much a plane as a flying car. 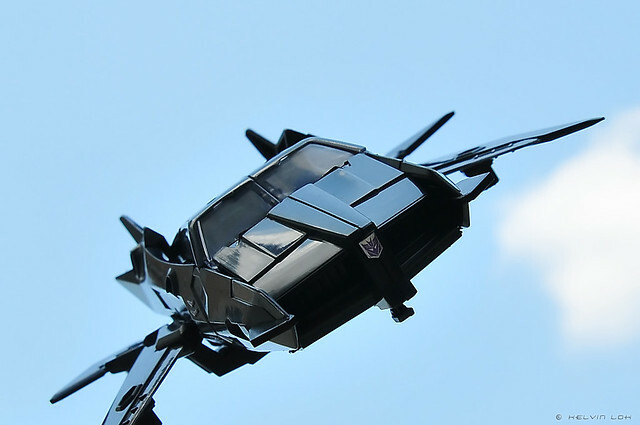 The fuselage is obviously from the normal car Vehicon. One gripe I have with the Takara Tomy versions of TF Prime toys is there are too many pegholes for attaching Arms Micons. Some is fine, but they tend to overkill. 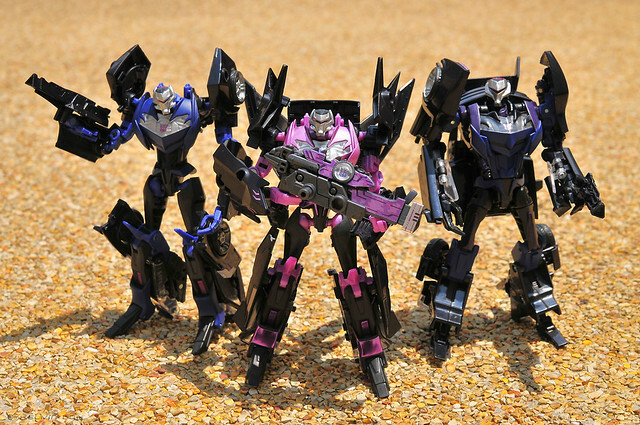 Vehicons alt modes. 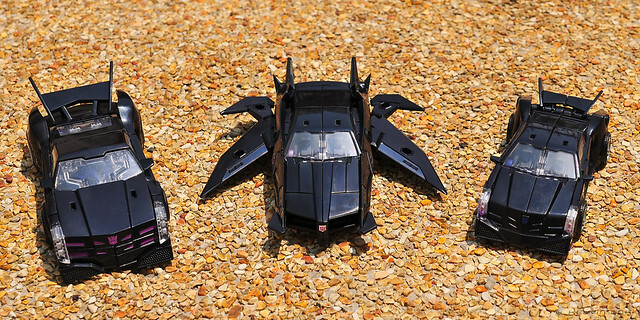 They can almost pass off as Batmobiles and Batwing! So far I have only opened one each of the different Vehicons. Let's see when I have time to open the rest and have a Vehicon army photoshoot!